There are very few people in the industrial world who have not had some experience with lithium ion battery technology. Lithium ion batteries power almost all modern electronic calculators, electronic watches and cell phones. The advent of rechargeable lithium ion technology in the early 1990s led to such widespread acceptance of the technology that in Japan in 2011, two-thirds of all portable secondary battery sales were lithiums. Lithium technology has a number of properties that make these rechargeable batteries so attractive. Most important—especially for those used in cell phones—is that they don’t acquire a memory. They can therefore be recharged from any state of charge without adversely affecting their capacity. The second helpful feature is that lithium ion batteries can be recharged very rapidly. A NiCad battery that used to power early cell phones took almost four hours to charge. The Lithium ion battery that charges a new similar cell phone takes about 45 minutes and lasts almost three times longer. Lithium ion batteries have been making their way into the marine market due to the features noted above for the smaller batteries. In addition, two other lithium battery features are finding great favor with boat owners. The first is a relatively light weight. Lithium is one of the lightest elements in the periodic table that is not a gas. It floats on water, and a cubic foot of it weighs 62.4 pounds. By comparison, a cubic foot of lead tips the scales at about 710 pounds. A lithium-based battery of about 61 pounds will have approximately the same capacity as a lead-based battery of 168 pounds. This gives marine designers, builders and decorators much more flexibility. The other feature mariners like about lithium technology is the fact that the batteries can be charged very rapidly without adverse effect. One builder of aluminum yachts reports that the lithium house battery system he installs requires only one hour of generator time a day to keep the house bank fully charged, compared with four hours for the more traditional lead-based house system he used to install. The improvements in lithium technology in the past two years have led to the development of a couple of all-electric outboards. 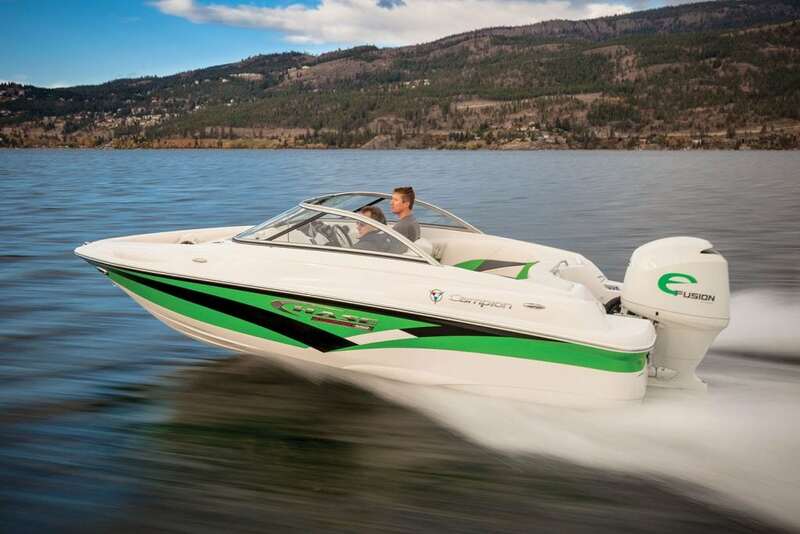 Torqeedo has produced an 80-hp unit and a Canadian boat builder, Campion of Kelowna, B.C., has produced a 180-hp all-electric outboard—currently the most powerful in the world. More manufacturers have plans to produce all-electric outboards. This year, in fact, a megayacht builder announced the development of a 12-passenger shore boat for running guests from the anchored megayacht to shore—at 45 knots powered by a pair of 300-hp all-electric outboards. With the advent of all-electric outboards of meaningful horsepower—as opposed to trolling motors—and the success of the Tesla all-electric sports car, lithium battery manufacturers have had to step up their game considerably, not only with respect to the amount of power that can be stored but also with respect to their battery management systems (BMS). In the short two years since Campion’s 180-hp—which required thousands of small cells to be hand “assembled” to produce the 400 VDC required to power the unit—the company’s Florida consultant began manufacturing in China an 88-pound, 51-volt battery that stores 7 kilowatts of power. The internal battery cells are fitted into in an almost traditional looking, dust-proof and water-resistant case. Each battery has its own battery management system on board and is about 26″x11″x7″. These types of batteries are still relatively expensive, but major development in the electric car field may soon start to flow into the marine field. In Europe, Renault produces an all-electric car that is sold without the battery pack. Packs are leased to car buyers for the equivalent of $100 per month. Gas costs the buyer almost $300 per month, whereas the cost of battery lease and charging is about $110 per month, and if there’s a battery problem the builder supplies a new one at no cost. This battery lease/rental business model is now being examined by businesses in the marine field. There will be continued development in battery technology, but these batteries have now reached the point where they are viable for many uses.They are still a bit pricey, but when one considers they have about three times the life of regular lead-based batteries the cost over time is not that much more.